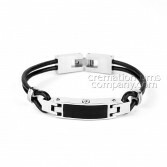 "sad to say, very nice item. 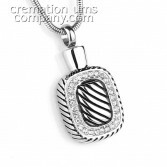 AAAAAAAA Miss Perry"
Cremation ashes jewellery has become so popular because it allows the wearer to keep a tiny pinch of a loved one's ashes with them at all times, all contained in an elegant and discreet piece of jewellery. 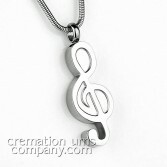 Our ashes jewellery is made from either stainless steel or sterling silver and you can choose from bracelets, pendants or even key rings. 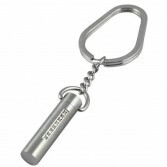 We stock both contemporary and classic styles, and have a huge range of designs, so we can cater for all tastes. 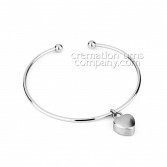 The Cassiopeia No1 Ash Bracelet is a stylish and elegant cremation ashes bangle, that has been crafted from timeless stainless steel and comes with a brushed stainless steel heart shaped charm. 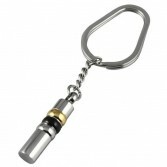 The Cassiopeia No5 Ash Key Ring is a beautiful cylinder shaped piece of cremation jewellery crafted from timeless stainless steel and embellished with black and gold accent bands. 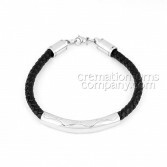 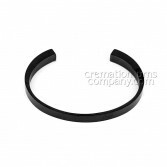 The Auriga No3 Ash Bracelet is a stylish piece of cremation ashes jewellery, that has been hand crafted from timeless stainless steel, it has a simple and strong looking design with a polished black finish. 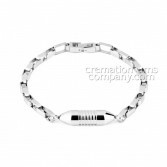 The Cassiopeia No3 Ash Bracelet is a stylish and elegant piece of cremation ashes jewellery that has been crafted from timeless stainless steel, it comes with a polished stainless steel circular charm, an oval link chain and a lobster claw clasp.